According to American Publishers Association’s (APA) latest numbers e-book sales are declining, down by 24.9 per cent. The same report shows a declined in hardback sales, but an increase in paperback sales. For most writers, a combination of print and e-publishing is still the best strategy. I’ll be honest; I still like print editions to curl up with. And I’m certainly not taking my e-reader into the bathtub for a long, hot soak. My iPad is full of books and documents, though, for easy transporting when I travel. I even have a few books on my iPhone so I don’t have to read years-old magazines while waiting somewhere (even in line at the grocery store). Not only is e-publishing changing the book industry, but also many newspapers and magazines are offering their products in electronic media as well as print versions. In fact, many magazines are only offering digital versions. Newsweek suspended print editions for nearly two years due to revenue loss. 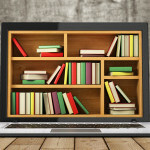 E-textbooks for college, even some high schools, are a growing trend. The Los Angeles Times, however, reported in February 2016 that more than 90% of students prefer print books. In 2013, Scribd launched Netflix-like subscription service for e-books. For a monthly fee, subscribers can read as many e-books as they wish. Soon Amazon followed suit with Kindle Unlimited. Libraries are also loaning e-books. Are you adopting e-publishing as part of your marketing strategy?